Our long-term savings and protection plan is tailored to help you grow your wealth for financial security and the lifestyle you wish to live. You can choose to invest in one of three funds, equities and money market funds or a mix of both. As a protection benefit, in the unfortunate event of loss of life (God forbid), a pre-defined lump sum payment will be made to the predetermined beneficiary or beneficiaries. Additional: Total Permanent Disability & Critical Illness, & Accidental Death or Disability Unit linked investment with various equity choices from 3 types of funds: Secured, Balanced & Ambitious. Choice of investing in fixed income and money market funds. Choice of equity: 15% to 30%. 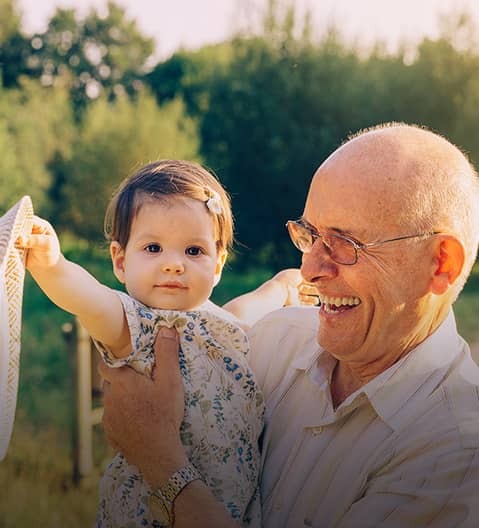 Long-term savings and protection plan is tailored to your financial and retirement goals and helps you save an affordable amount on a regular basis. This is done through accumulated savings, alongside an additional dividend added on a yearly basis. As a protection benefit, in the unfortunate event of loss of life (God forbid), a predefined lump sum insurance amount plus the invested saved amount value, payment by is made by Allianz Life Assurance Company Egypt to a predetermined beneficiary or beneficiaries. Long-term savings and protection plan is tailored to help you save sufficient funds to finance university education or marriage expenses for your children. This is done through accumulated savings, alongside dividend payments added on a yearly basis. As a protection benefit, you enjoy a waiver of premium benefits in the unfortunate event of loss of life (God forbid). In such an unfortunate event, Allianz Life Assurance Company Egypt will pay the remaining premiums plus education tuition fees on your behalf until your children reach the agreed university age and collect the benefits at maturity. Pure protection plan, designed to pay a lump sum to your loved ones or beneficiaries in the unfortunate event of loss of life (God forbid). It features affordable premium paid on regular basis.